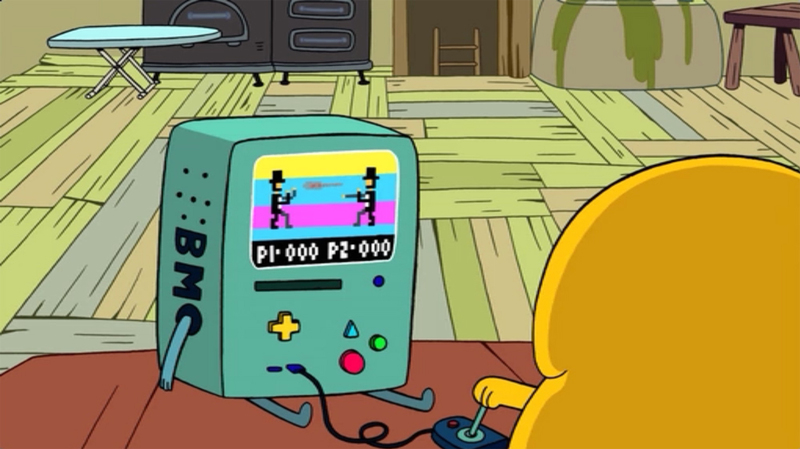 I have no doubt that Adventure Time will go down in the books as one of the most influential cartoons in history. It's success signaled the start of a new generation of animated shows that were wildly risk-taking while remaining approachable and humble, filled with action and "deep lore" though simultaneously rejecting traditional power fantasy tropes. At it's heart, the show is about orphaned children surviving the apocalypse, though you might not guess that if you only judged its bright colors, musical numbers, spaghetti arms, and zen-like non-sequitors. Adventure Time showed the world that a silly-but-violent cartoon could be made for boys, girls, kids and adults, all while not watering anything down to try to appeal to the lowest common denominator. Not long after it debuted in 2010, it became a part of the culture's larger conversation about the evolution of fantasy media, with mainstream new outlets like The New York Times and NPR singing its praises. We wouldn't have hit shows like Steven Universe and Rick and Morty without it, as they are both from Adventure Time alumni who were relative unknowns before the show became a hit, and one might also make the case that we wouldn't have the likes of Cuphead, Overwatch and Fortnite with out it either. Adventure Time was a key player in a culture change in games and animation that kicked into high gear in the past eight years, and I think we'll be continuing to feel its effects for years to come. Cynical negativity and edginess masquerading as maturity is out. Earnest empathy and vulnerability that dares to try to include everyone are in. We have Adventure Time to thank for a lot of that. You'd think that the end of such a milestone of the genre would be getting a lot of talk, but the only reason I know that show's final episode is set to air today at 6pm EST is because I happen to follow its head writer Adam Muto on Twitter. 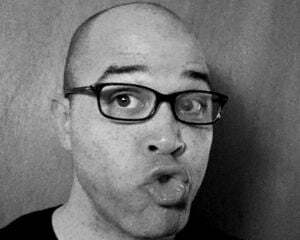 Despite the fact that huge Hollywood stars like Donald Glover, Andy Samberg, Lena Dunham, Weird Al Yankovic, Mark Hamill, Ron Pearlman, Neil Patrick Harris, Keith David, Biz Markee, and countless others have appeared on the show over the years, Cartoon Network has done little to promote it since series creator and former show runner Pen Ward retired a few years back. Some think that part of the reason Cartoon Network ended up backing off on the show came from fear of over-exposure. In its first few years on air, Adventure Time felt like a quirky little underdog, but before long, it became a multi-media powerhouse, with comics, toys, games, clothes, and countless other franchise tie-ins flooding the market. After that wave crashed, the show continued on, with some of the better episodes co-written by former Destructoid personality Ashly Burch. Unfortunately by then, it was no longer a flagship tile for the network. It's a shame too, as some of the best episodes of the series came during this time. 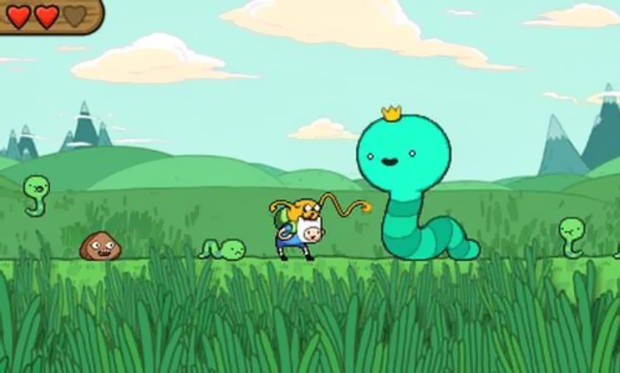 The Islands and Stakes mini-events are essentially full length Adventure Time movies, each with a strong moral theme and moments of intense loss, hope, and character-defining changes that few shows are willing to even attempt, let alone cartoon shows that are in the last phase of their life cycle. So for me, the end of Adventure Time is a big deal. I have no doubt that it will live on in re-runs for as long as we still have broadcast television, and chances are high that Pen Ward will come back and reboot it in 15-30 years or so. If it can happen for Twin Peaks, then I have no doubt that it could happen for Adventure Time too. Still, whatever the show is and what it's done to actively influence the direction of games, comics and movies, is coming to a close, and I'm much sadder about it than I thought I would be. I still quote the show pretty regularly (particularly the "you smell like dog buns" line) and the idea that its unique voice may no longer be "alive" feels like a loss. I can only hope that now that it's over, more lapsed fans will catch up on the episodes they skipped to see what they missed. 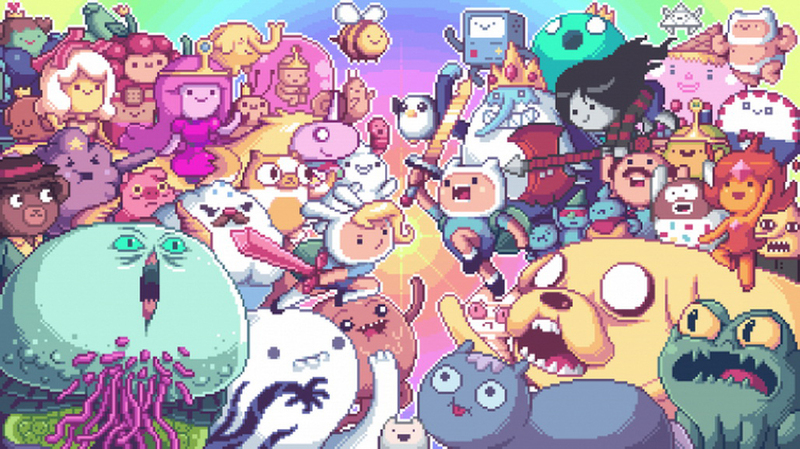 In these days of ever increasing anxiety and toxicity, we need Adventure Time more than ever.